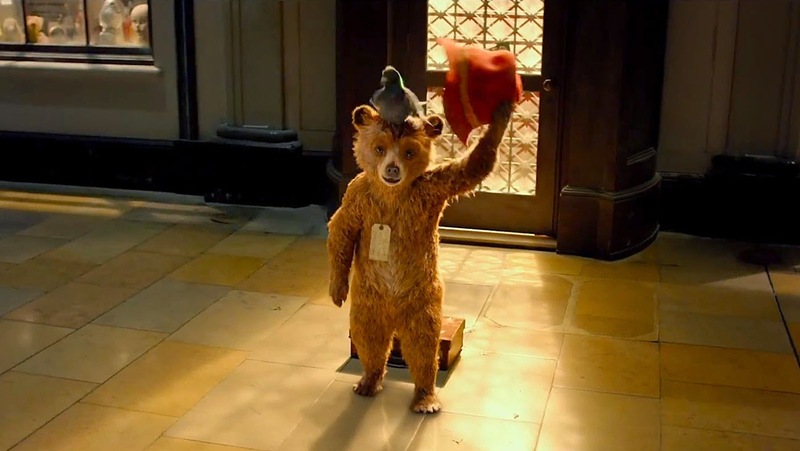 Paddington - From the beloved novels by Michael Bond and producer David Heyman (Harry Potter), Paddington tells the story of the comic misadventures of a young Peruvian bear (voiced by Ben Whishaw) who travels to the city in search of a home. Finding himself lost and alone, he begins to realize that city life is not all he had imagined - until he meets the kindly Brown family who read the label around his neck that says "Please look after this bear. Thank you," and offer him a temporary haven. It looks as though his luck has changed until this rarest of bears catches the eye of a museum taxidermist. Horrible Bosses 2 - The follow-up to the 2011 hit comedy reunites Jason Bateman, Charlie Day and Jason Sudeikis as Nick, Dale and Kurt. Jennifer Aniston, Jamie Foxx and Kevin Spacey also reprise their Horrible Bosses starring roles, while Chris Pine and Christoph Waltz star as new adversaries standing between the guys and their dreams of success. Folies Bergere - Brigitte and Xavier are a couple of cattle farmers living and working together in Normandy. They have always got on well but now that their two children have left the household routine and weariness have set in. One night, Brigitte, who has been invited to a party by a group of Parisians in the house next to their farm, lets herself be wooed by Stan, a witty, cool attractive young man. Some time later, giving a visit to a dermatologist as an excuse, she goes to Paris to meet him. But things do not go according to plan. Stars Isabelle Huppert. Weekly Recommendation: I have been recommended Folies Bergere and anything with Isabelle Huppert is usually worth watching. I really liked The One I Love. What a clever and fun film that is odd enough to keep you guessing but not so twisted it starts to become indecipherable. Duplass is such a funny guy, but Elizabeth Moss is terrific in an unusual role. It is a very interesting look at a relationship in trouble, and how desiring your partner to change isn't the answer unless you're willing to change too. And then there's Paddington, which is getting very positive reviews. I am now very much looking forward to it. A surprisingly interesting week. December is usually a bit of a graveyard - though last year American Hustle swept in a blew open the box office - in the lead up to the Boxing Day and the new year.